Dan was on Good Morning America, Monday, February 17th to discuss the jurors involved in the verdict for the Michael Dunn trial. The jury was deadlocked on murder charges but found Michael Dunn guilty on three charges of attempted second degree murder. Under Florida law, Dunn will spend the next 60 years in prison even without the murder conviction, however, the victim’s parents are vowing to bring Dunn back to court for a retrial in hopes of a first -degree murder conviction. 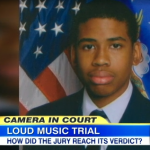 Says Dan, “If you read the questions the jurors sent out, it sure sounds like at least one of them was taking the self defense claims seriously with regard to Jordan Davis. So the only way you can explain it then is the jury can’t agree on the shots that killed Jordan Davis, meaning you assume The only way to explain it then is that the jury can’t agree on the shots that killed Jordan Davis. You assume that the first shots killed Jordan Davis. If you actually listen on the surveillance tape to the shots, you hear the pop, pop, pop. And then a pause. And then the other shots. And what it seems this jury did is say, well, we can’t unanimously agree, beyond a reasonable doubt on the murder charge. We can unanimously agree at the second set of shots, that were attempted murder of everyone else in the car. As they were driving away and now you’re hearing that means a minimum of 60 years in prison.” Watch the full clip here.